Take a look at that unusual target below. We bet you’ve never seen one of these before. It’s a 50-Yard Sighting Target for the M1 Garand. It’s designed to allow a rifleman to confirm his zeros for multiple yardages all the way out to 1000 yards. But importantly, he can establish those zeros at a very “short” shooting facility, since the target is positioned at a mere 50 yards. Here’s how it works. The target is placed at fifty (50) yards. You start at the bottom, aiming at the black circle. Then check your come-up table and work your way up, clicking step-by-step to the various horizontal lines set for 200, 300, 500, 600 and 1000 yards. This is NOT “spray and pray” — you need to have a pretty good idea of the clicks you need, based on your ammo’s ballistics. This target is calibrated for the U.S. Military M72 Ball Ammo. The targets are available from Champion’s Choice ($0.75 each) or from Creedmoor Sports (12 for $5.95). Lapua’s Kevin Thomas used this target to get zeroed for the recent D-Day Anniversary Match at the Talladega Marksmanship Park. Kevin used the target for both his M1 Garand as well as his M1903A1 Springfield, both chambered for the .30-06 Springfield cartridge. As part of my preparation for the Garand Match at the CMP’s Talladega Marksmanship Park, I needed to zero my new M1 Garand, but I was crunched for time. I didn’t have time to get to my normal range and confirm zeros at actual yardages. But a 50-yard zero target came to the rescue. Made for M1s using the M72 National Match ammo, the target allows the shooter to establish fairly good zeros at 200, 300, 500, 600 and 1,000 yards if you’ve got access to a 50-yard range. I have no idea when these 50-yard Sighting Targets were first developed, but they’ve been around for at least as long as I’ve been involved in this game (longer than I care to admit). It consists of a tall target, with a smallish black bullseye located at the bottom center. The bullseye is an aiming point only. Extending through the top of the target is a vertical line that runs directly up the center, to nearly the top of the paper. Across this, there are intersecting horizontal lines that are marked 200, 300, 500, 600 and 1,000. The target was designed for the M1 rifle using then-issued M72 National Match ammunition. This ammo launched a 173gr FMJBT bullet at approximately 2,640 fps. It was a good load in its day, supersonic out to the 1,000-yard line. While that ammo is fairly scarce these days, this isn’t a problem for the handloader. My standard match load for the M1 Garand utilizes the 175gr Lapua Scenar HPBT, and delivers remarkably similar ballistic performance. Thus my normal Garand load translates nicely to this 50-yard target. Yes, this is by design. No point in reinventing the wheel when Lake City has already established what works! In use, the shooter sets the target up at a measured 50 yards, and (this is critical) checks the vertical line with a plumb bob or a carpenter’s level, to ensure that it is absolutely vertical. Once the target is set, the rifle is fired and the group noted. From there, it is a simple matter of zeroing it normally to bring the groups into alignment with the vertical line, at the elevation needed for a particular range. Once your group is hammering the intersection of the vertical line and the horizontal line marked “200”, you have established your 200-yard zero for that rifle. Record the number of clicks, and you’re good to go. Raise the impacts up to coincide with the line marked “300” and you now have a 300-yard zero as well. And so on, right up the target. Record those settings in your data book, and you’re ready to go to the range at the full distances. If done carefully, you may be in the X-Ring, but at the very least, you’ll be well-centered and ready to get some hard dope recorded for future shoots. The same target can also be used with an M14/M1A, at least at the shorter distances. The ballistics of the M118 and the current M118LR are similar enough that this will get you on target at the full distances, probably requiring just a half MOA or so change from the 50 yard zero you recorded. Same bullets, moving at a slightly more sedate 2,550 fps, you’ll be in the ballpark at least. Bryan Litz has recently popularized the short-range zeroing methods once again, reintroducing it to a new generation of shooters that may not have been aware of the old M72 short-range zero target. The same principles apply, and with the advent of the myriad computer ballistics programs and chronographs on the market today, any shooter can rapidly develop his own zero targets to accomplish the same result. But in the meantime, especially with the M1’s resurgent popularity, it’s nice to know that there’s an easy way to do things without a trip to a full-length range. The modestly-priced 50-Yard Sighting Targets can be ordered through Champion’s Choice or Creedmoor Sports. Share the post "Using a 50-Yard Sighting Target with Vintage Military Rifles"
Creedmoor Sports and the M1 for Vets organization are working together on a program that helps armed services veterans get involved in the shooting sports. The M1 for Vets Project helps veterans attend High Power shooting events such as the Creedmoor Cup and the National Matches at Camp Perry, Ohio. The M1 For Vets Project is not affiliated with the CMP, NRA or any large firearms organization. It’s a small, grassroots group of shooters and collectors that want to show their appreciation and respect for our young men and women who have served our Nation. Almost all M1 recipients have been combat-wounded and want to continue to use the marksmanship skills they have acquired. After a successful event at this year’s Western Creedmoor Cup, Creedmoor Sports announced that — with your donations — it has helped raise over $9000 this year. You can donate through the Creedmoor Sports website using this link: M1 For Vets Donations. Share the post "M1 for Vets Project Seeks Donations"
Here’s a handy product for our readers who collect military rifles or who shoot in the CMP’s Garand Matches. Second Star to the Right, a company based in Stonewall, Lousiana, offers vinyl mats printed with the breakdown/assembly instructions for the M1 Garand. These mats are faithful reproductions of the 1952 Army instruction diagram used to train GIs and armorers. There are two models: 1) 30″ x 26″ Deluxe heavy-weight version with grommets ($25.00); and 2) 19″ x 14″ “Collectors Edition” lighter-weight version ($17.00). You can either use the mat draped on your bench as a cleaning surface, or hang it on the wall for decoration. In addition to its M1 Garand mats, Second Star plans to introduce mats for other firearms such as the M14, M1 Carbine, and M16. For more information call Second Star at (318) 560-2579. Second Star’s website is not yet active, but you can send email to: the2ndstar2010@yahoo.com . Share the post "Garand Assembly Diagram Printed on Large Mats"
Hornady has been selected as the official ammunition supplier for the 2009 National Springfield and Garand Matches, to be held August 7 and 8, in Camp Perry, Ohio. Hornady’s 30-06 Garand Match Ammunition will be issued to all shooters competing in the Springfield Rifle Match, John C. Garand Match, and the Vintage Military Rifle Match. Hornady 30-06 M1 Garand Match Ammunition delivers a 168gr A-Max bullet at 2710 fps MV. Hornady’s Garand ammo is purpose-built for the Garand platform, employing medium burn-rate propellants that protect the M1 rifle’s gas port system, meeting all SAAMI guidelines. Share the post "Hornady Ammo Chosen for Springfield & Garand Matches"
Creedmoor Sports has announced its support of the M1 for Vets program, which provides financial and logistical support to wounded U.S. Veterans, allowing them to compete at Camp Perry and other major rifle matches. 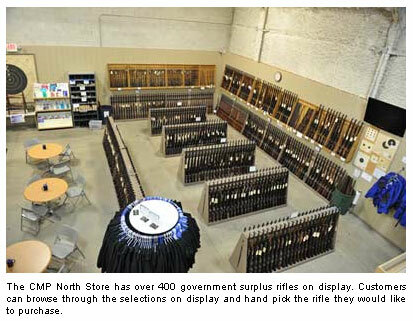 M1 for Vets has also donated refurbished M1 Garand rifles to more than 160 wounded war heroes. Supporting these efforts, for a limited time, Creedmoor Sports will donate to M1 for Vets $5 from every internet order over $100. When you order from Creedmoor Sports’ website (and spend over $100.00), Creedmoor “kicks-in” $5.00 to support this worthy program. M1 for Vets is a non-profit organization dedicated to financial and logistical support of returning Combat Wounded Veterans from Operation Iraqi Freedom (OIF), Operation Enduring Freedom (OEF) and the Global War on Terror (GWT), for the purpose of helping them compete in national shooting sports. The goal is to give transitioning combat wounded veterans an opportunity to get back on the rifle range to participate in shooting competition. These are tough young men and women who quickly adapt and are able to overcome difficulties. 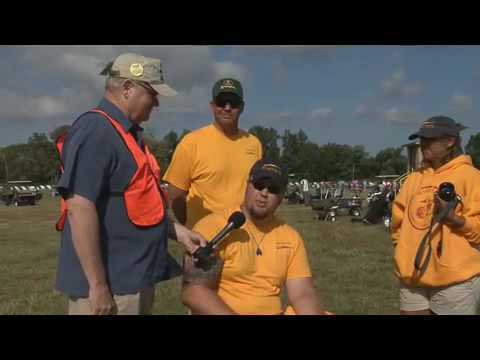 In the video below, M1 for Vets recipients are interviewed at the 2008 Camp Perry National Matches. Share the post "M1 for Vets Program Serves Wounded Veterans"
Dennis DeMille of Creedmoor Sports reported that the 2009 Eastern CMP Games and Creedmoor Cup was a rousing success, setting new attendance records. Over 184 shooters competed in the individual Creedmoor Cup on Saturday, May 10th. Complete Results are posted on the CMP website. Sherri Gallagher-Hurd was the overall match winner (and match rifle class winner), firing a score of 790-34x. SFC Grant Singley of the US Army Marksmanship Unit was the high service rifle shooter with a score of 788-38x. High Senior was Doug Morrison, a former US Army Reserve service rifle shooter, who has made the transition to match rifle. Doug fired a fine score of 785-31X. CWO3 Peter Burns won the M1 Garand Match and the Vintage Military Rifle Match. The USAMU Praslick Squad won the 4-man Service Rifle Team event. William Flagg, Jr. won the Rimfire Sporter event, shooting an excellent 590-33X. The shooter who traveled the furthest to compete in this match was William Ellis, from England. William was able to bring his rifle to shoot in the matches, but had to buy ammunition in the US upon his arrival. Share the post "Huge Turnout for Eastern CMP Games & Creedmoor Cup — Sherri Gallagher-Hurd Wins Match"